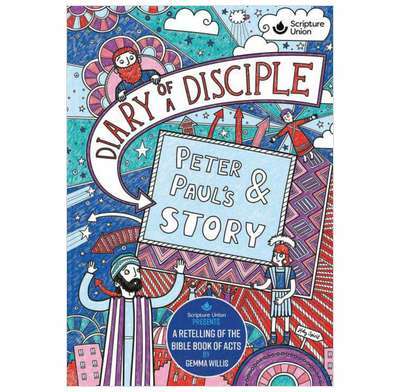 Diary of a Disciple: Peter and Paul’s story is a contemporary retelling of the book of Acts. Written in a quirky, contemporary, accessible style, Diary of a Disciple offers a way into the Bible for the next generation. Sheep falling from the sky, bald heads, fiery heads and wrinkly noses, boys falling out of windows, people throwing rocks, storms and shipwrecks, prisons and fish biscuits?! How could all of this be part of just one story?